Crucial Evidence for a Florida Car Accident Case | DeLoach, Hofstra & Cavonis, P.A. What evidence can be used in a Florida car accident case? Most people aren’t thinking about protecting their injury claims in the moments after a car accident. Victims are often shaken and just want to go home, or are taken away from the scene by an ambulance while they're not yet conscious. While receiving medical treatment is the most important thing you can do after a crash, collecting evidence to help your case should be the next thing on your agenda. Whether you're filing a case in court or filing a claim with the insurance company, it's vital that you gather as much evidence as possible. The more documentation you have to support your losses, the more likely you are to get a settlement that covers your injuries and property damages. Police reports. Law officers are required to fill out an accident report whenever they attend to an accident scene. You may have to pay a fee for a copy of the police report, but the cost is usually minimal—and it's worth it, if the police officer made any observations that help your case. Insurers know that it's difficult to refute the word of a police officer at the scene, so if the officer’s report says you aren’t at fault, you have a good chance at compensation. Photographs. Pictures are invaluable to your case because they present an impartial view of the facts. There's no limit to the items that may be photographed, but common photos include the position of the vehicles after the crash, the damage done to both vehicles, the appearance of skid marks, the position of road signs and traffic lights, and photos of your injuries. Eyewitnesses. If you were unconscious at the time of the crash, the police report may include the names and contact information of the other driver as well as any witnesses that were at the scene. Any one of these people may be called to give their testimony regarding what they saw at the crash scene. Medical records. Your medical information is key to getting fair compensation for your injuries. 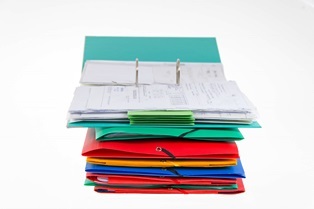 You should have copies of all of your medical bills, including receipts for amounts both due and paid. You should also have copies of medical procedures, scans, tests, and treatment beginning on the day of the crash to the current date. Work absence records. If you've been unable to work as a result of your injuries, you will need proof of the days you have taken off of work as well as proof of lost benefits, such as lost sick days, bonuses, or opportunities for advancement. Property damage estimates. It's important to have all records relating to the damage to your vehicle, not just a repair estimate and car rental receipt. Some supporting evidence many people overlook is documentation of the condition of the vehicle before the crash, such as recent upgrades or improvements that increased the value of the car. Car maintenance records can also help prove that your car was in good working order and the crash wasn't caused by a problem with your vehicle. Items from the day of the crash. If your case goes to court, personal items may be admitted as evidence to show the extent of your loss, such as clothing you were wearing at the time of the accident, or the recording of your 911 call. Strong evidence in your case is not only required to prove you weren't at fault, but also impact how much you're awarded in your claim. A forgotten out-of-pocket expense will leave you with less than you deserve for your medical costs, while doubt regarding fault may cost you thousands in pain and suffering damages. The best way to gather evidence after a car accident is to seek the advice of an experienced attorney. Our legal team can preserve information that may otherwise have been destroyed, work with accident reconstructionists to recreate the scene, or call expert witnesses to give testimony on your behalf. Fill out the contact form on this page today to set up your consultation with an injury attorney. We work on a contingency-fee basis, so you will not have to pay our firm anything until you receive compensation.